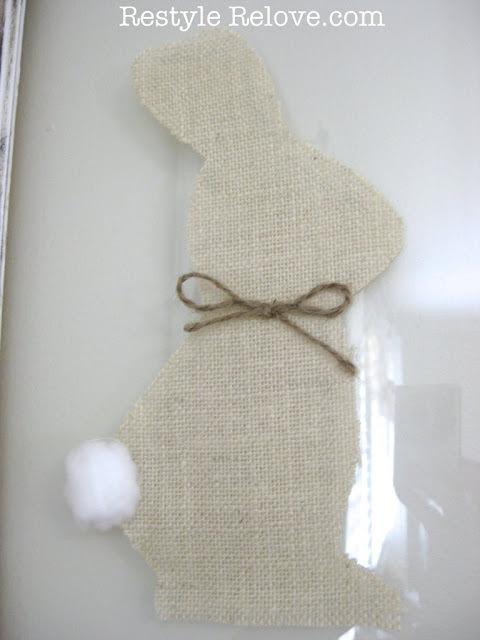 I made these cute little burlap bunnies last year for a friend's shop. 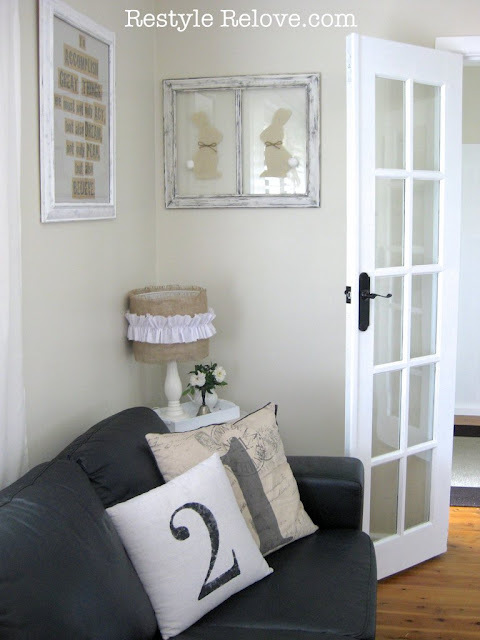 And I made this faux old window a few years ago but was never really happy with it. 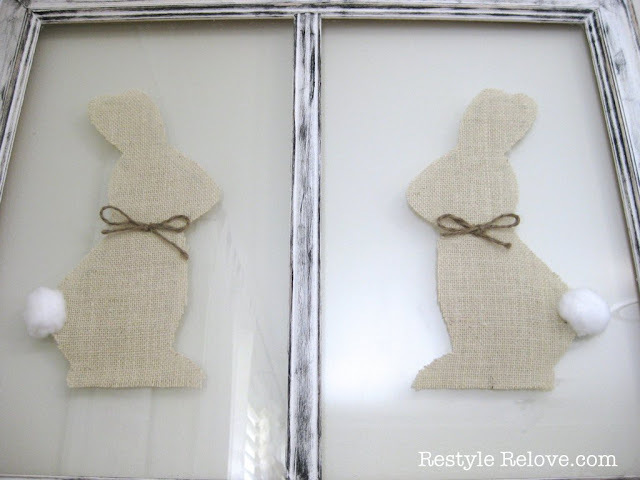 But when I decided to put them together, I ended up with really cute window framed silhouette bunnies. I also tweaked my side table with this white wooden tray, old school bell, and fresh roses from our garden in an old white milk jug. I love the new additions to our lounge corner. These bunnies are adorable. I love what you did. 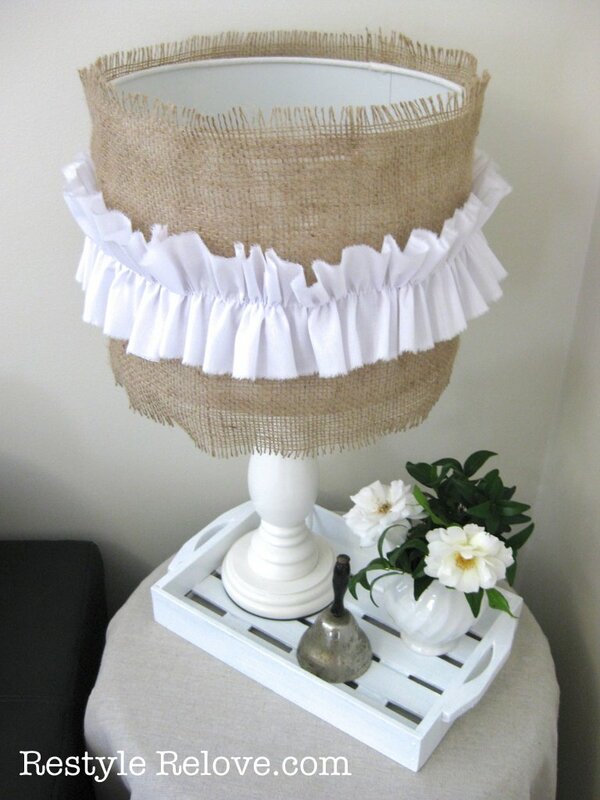 I also love that cute lamp. So sweet. Those bunnies are just adorable--love their little pom pom tails! 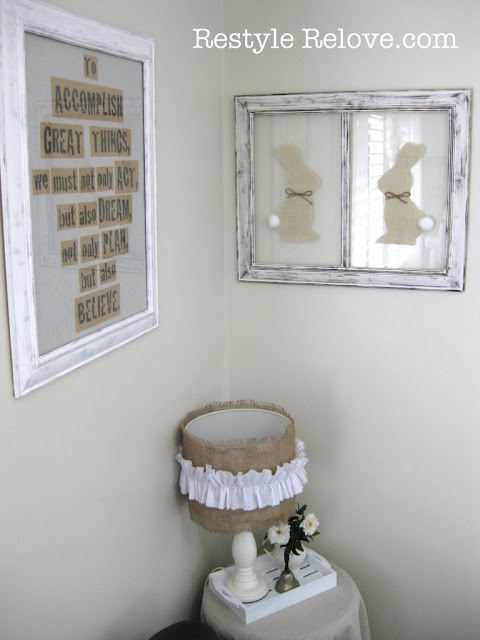 Very cute, love the lampshade. Those bunnies are too precious!!! What a brilliant idea to put them in a window! Pinning from Debbie and Shannon. Cute bunnies. 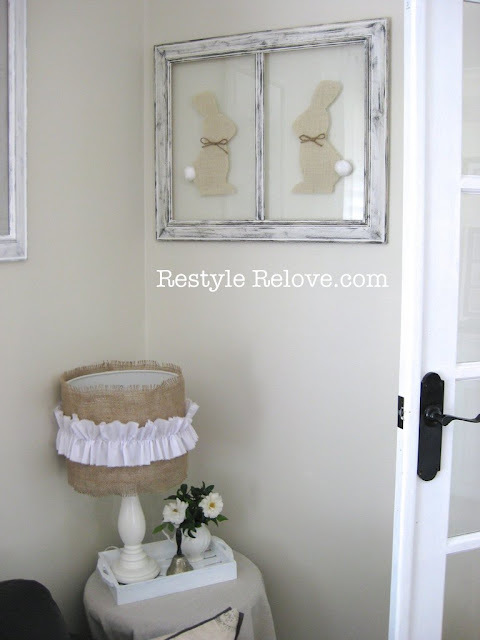 These bunnies are adorable, the white washed windows, just perfect! Thanks for sharing and inspiring! This is so cute! I love the frame and the bunnies! 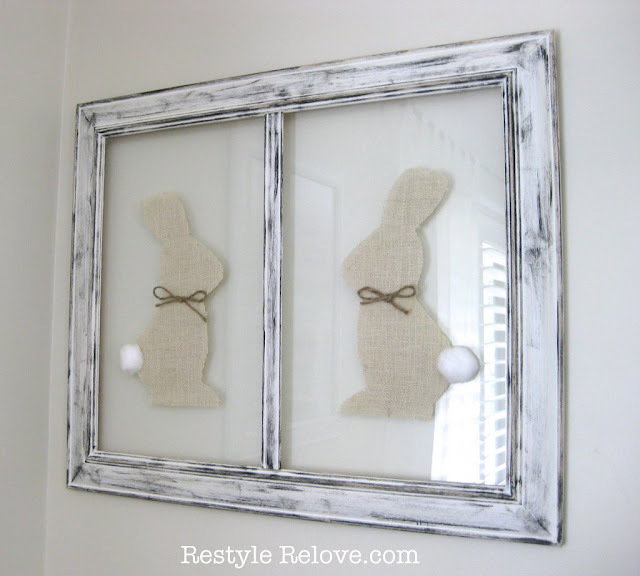 Lovely Easter decorating Julie. 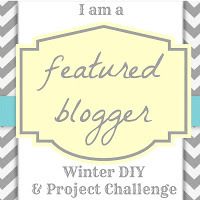 Thanks for linking up at Shabbilicious Friday this week.